Article 1 - Classification of Militia. § 127A-1. Composition of militia. § 127A-2. Classification of militia. § 127A-3. Organized militia; National Guard. § 127A-4. Organized militia; naval militia. § 127A-5. Organized militia; State defense militia. § 127A-6. Organized militia; historic military commands. § 127A-7. Composition of unorganized militia. § 127A-8. Exemptions from duty with the militia. § 127A-9. Number of troops authorized. § 127A-10. Corps entitled to retain privileges. §§ 127A-11 through 127A-15. Reserved for future codification purposes. Article 2 - General Administrative Officers. § 127A-16. Governor as commander in chief. § 127A-17. Commander in chief to prescribe regulations. § 127A-17.1. Confidentiality of National Guard records. § 127A-18. Personal staff of Governor. § 127A-20. Administrative and operational relationships of the Adjutant General. § 127A-21. United States property and fiscal officer. § 127A-22. North Carolina property and fiscal officer. § 127A-23. Commissions for commandants and officers at qualified educational institutions. §§ 127A-24 through 127A-28. Reserved for future codification purposes. Article 3 - National Guard. § 127A-30. Organization of National Guard units. § 127A-31. Location of units. § 127A-32. Officers appointed and commissioned; oath of office. § 127A-33. Promotion of officers by seniority and in accordance with regulations. § 127A-34. Relative rank among officers of same grade. § 127A-35. Elimination and disposition of officers; efficiency board; transfer to inactive status. § 127A-36. Retirement of officers. § 127A-37. Enlistments in National Guard; oath of enlistment. § 127A-38. Discharge of enlisted personnel. § 127A-39. Membership continued in the National Guard. § 127A-40. Pensions for the members of the North Carolina National Guard. § 127A-41. Uniforms, arms and equipment. § 127A-41.1. Stay of legal and court proceedings because of State military service. § 127A-41.2. Operation of post exchanges. § 127A-42. Distinguished Service Medal by Governor of North Carolina. § 127A-43. North Carolina National Guard Meritorious Service Medal. § 127A-44. North Carolina National Guard Commendation Medal. § 127A-44.1. North Carolina National Guard Achievement Medal. § 127A-45. North Carolina National Guard State Active Duty Award. § 127A-45.1. North Carolina National Guard Governor's Unit Citation. § 127A-45.2. North Carolina National Guard Meritorious Unit Citation. § 127A-45.2A. North Carolina National Guard Outstanding Unit Award. § 127A-45.3. North Carolina National Guard Distinguished Civilian Service Medal. § 127A-45.4. North Carolina National Guard Outstanding Civilian Service Medal. § 127A-45.5. North Carolina National Guard Meritorious Civilian Service Award. § 127A-46. Authority to wear medals, ribbons and other awards. § 127A-47. Courts-martial for National Guard. § 127A-49. Special courts-martial; appointments, power and authority. § 127A-52. Jurisdiction of courts-martial. § 127A-53. Manual for Courts-Martial. § 127A-54. Pretrial confinement; sentences; where executed. § 127A-55. Forms for courts-martial procedure. § 127A-56. Powers of courts-martial. § 127A-57. Execution of processes and sentences. § 127A-58: Repealed by Session Laws 2010-193, s. 13, effective December 1, 2010. § 127A-59. (See note for contingency) Sentences. § 127A-60. Approval of sentence. § 127A-61. Disposition of fines. § 127A-62. Appeals; discretionary review. § 127A-63. Reserved for future codification purposes. § 127A-64. Availability of resources for National Guard Family Assistance Centers; report. § 127A-65. Reserved for future codification purposes. § 127A-66. Reserved for future codification purposes. Article 4 - Naval Militia. § 127A-67. Organization and equipment. § 127A-68. Officers appointed to naval militia. § 127A-69. Officers assigned to duty. § 127A-70. Discipline in naval militia. § 127A-71. Disbursing and accounting officer. § 127A-72. Rendition of accounts. § 127A-73. Disbandment of naval militia. § 127A-74. Courts-martial for naval militia. §§ 127A-75 through 127A-79. Reserved for future codification purposes. Article 5 - State Defense Militia. § 127A-80. Authority to organize and maintain North Carolina State Defense Militia. § 127A-81. State defense militia cadre. §§ 127A-82 through 127A-86. Reserved for future codification purposes. Article 6 - Unorganized Militia. § 127A-87. Unorganized militia ordered out for service. § 127A-88. Manner of ordering out unorganized militia. § 127A-89. Draft of unorganized militia. § 127A-90. Punishment for failure to appear. § 127A-91. Promotion of marksmanship. §§ 127A-92 through 127A-96. Reserved for future codification purposes. Article 7 - Regulations as to Active Service. § 127A-97. National Guard and naval militia first ordered out. § 127A-98. Regulations enforced on active State service. § 127A-99. Regulations governing unorganized militia. §§ 127A-100 through 127A-104. Reserved for future codification purposes. Article 8 - Pay of Militia. § 127A-105. Rations and pay on State service. § 127A-106. Paid by the State. § 127A-107. Rate of pay for other service. § 127A-108. Pay and care of soldiers, airmen and sailors disabled in service. § 127A-109. Pay of general and field officers. § 127A-110. Proceedings against third party injuring or killing organized militia personnel. § 127A-111. Civilian leave option. §§ 127A-112 through 127A-115. Reserved for future codification purposes. Article 9 - Privilege of Organized State Militia and Reserve Components of The United States Armed Forces. § 127A-116. Leaves of absence for State officers and employees. § 127A-118. Organizations may own property; actions. § 127A-119. When families of soldiers, airmen and sailors supported by county. §§ 127A-120 through 127A-124. Reserved for future codification purposes. Article 10 - Care of Military Property. § 127A-125. Custody of military property. § 127A-126. Other suitable storage facilities. § 127A-127. Property kept in good order. § 127A-128. Equipment and vehicles. § 127A-129. Transfer of property. § 127A-130. Replacement of lost or damaged property. § 127A-131. Unlawful conversion or willful destruction of military property. §§ 127A-132 through 127A-136. Reserved for future codification purposes. Article 11 - Support of Militia. § 127A-137. Requisition for federal funds. § 127A-138. Local appropriations; unit funds. § 127A-139. Allowances made to different organizations and personnel. §§ 127A-140 through 127A-144. Reserved for future codification purposes. Article 12 - General Provisions. § 127A-145. Reports of officers. § 127A-146. Officer to give notice of absence. § 127A-147. Orders, rules, regulations and Uniform Code of Military Justice applicable to militia when not in service of United States. § 127A-148. Commander may prevent trespass and disorder. § 127A-149. Power of arrest in certain emergencies. § 127A-150. Immunity of guardsmen from civil and criminal liability. § 127A-151. Organizing company without authority. § 127A-152. Placing name on muster roll wrongfully. § 127A-153. Protection of uniform. § 127A-154. Upkeep of properties. § 127A-155. When officers authorized to administer oaths. §§ 127A-156 through 127A-160. Reserved for future codification purposes. § 127A-162. Authority to foster development of armories and facilities. § 127A-163. Powers of Department specified. § 127A-164. Power to acquire land, make contracts, etc. § 127A-165. Counties and municipalities may lease, convey or acquire property for use as armory. § 127A-166. Prior conveyances validated. § 127A-167. Appropriations to supplement available funds authorized. § 127A-168. Local financial support. § 127A-169. Unexpended portion of State appropriation. §§ 127A-170 through 127A-174. Reserved for future codification purposes. Article 14 - National Guard Mutual Assistance Compact. § 127A-176. Entry into force and withdrawal. § 127A-177. Definitions; mutual aid. § 127A-180. Construction and severability. § 127A-181. Payment of liability to responding state. § 127A-182. Status, rights and benefits of forces engaged pursuant to Compact. § 127A-183. Injury or death while going to or returning from duty. § 127A-184. Authority of responding state required to relieve from assignment or reassign officers. §§ 127A-185 through 127A-189. Reserved for future codification purposes.  Article 15 - North Carolina National Guard Tuition Assistance Act of 1975. § 127A-190: Recodified as Part 2 of Article 23 of Chapter 116, G.S. 116-209.50 through 116-209.55, by Session Laws 2010-31, s. 17.3(b), effective July 1, 2010. § 127A-191: Recodified as Part 2 of Article 23 of Chapter 116, G.S. 116-209.50 through 116-209.55, by Session Laws 2010-31, s. 17.3(b), effective July 1, 2010. § 127A-192: Recodified as Part 2 of Article 23 of Chapter 116, G.S. 116-209.50 through 116-209.55, by Session Laws 2010-31, s. 17.3(b), effective July 1, 2010. § 127A-193: Recodified as Part 2 of Article 23 of Chapter 116, G.S. 116-209.50 through 116-209.55, by Session Laws 2010-31, s. 17.3(b), effective July 1, 2010. § 127A-194: Recodified as Part 2 of Article 23 of Chapter 116, G.S. 116-209.50 through 116-209.55, by Session Laws 2010-31, s. 17.3(b), effective July 1, 2010. § 127A-195: Recodified as Part 2 of Article 23 of Chapter 116, G.S. 116-209.50 through 116-209.55, by Session Laws 2010-31, s. 17.3(b), effective July 1, 2010. § 127A-196: Recodified as Part 2 of Article 23 of Chapter 116, G.S. 116-209.50 through 116-209.55, by Session Laws 2010-31, s. 17.3(b), effective July 1, 2010. § 127A-197: Recodified as Part 2 of Article 23 of Chapter 116, G.S. 116-209.50 through 116-209.55, by Session Laws 2010-31, s. 17.3(b), effective July 1, 2010. § 127A-198: Recodified as Part 2 of Article 23 of Chapter 116, G.S. 116-209.50 through 116-209.55, by Session Laws 2010-31, s. 17.3(b), effective July 1, 2010. § 127A-199: Recodified as Part 2 of Article 23 of Chapter 116, G.S. 116-209.50 through 116-209.55, by Session Laws 2010-31, s. 17.3(b), effective July 1, 2010. § 127A-200: Recodified as Part 2 of Article 23 of Chapter 116, G.S. 116-209.50 through 116-209.55, by Session Laws 2010-31, s. 17.3(b), effective July 1, 2010. Article 16 - National Guard Reemployment Rights. § 127A-202.1. Discrimination against persons who serve in the National Guard and acts of reprisal prohibited. § 127A-203. Penalties for denial. § 127A-204: Reserved for future codification purposes. § 127A-205: Reserved for future codification purposes. § 127A-206: Reserved for future codification purposes. § 127A-207: Reserved for future codification purposes. § 127A-208: Reserved for future codification purposes. § 127A-209: Reserved for future codification purposes. Article 17 - Armory and Facility Development Projects and Plan. § 127A-210. Armory and facility development project plan.